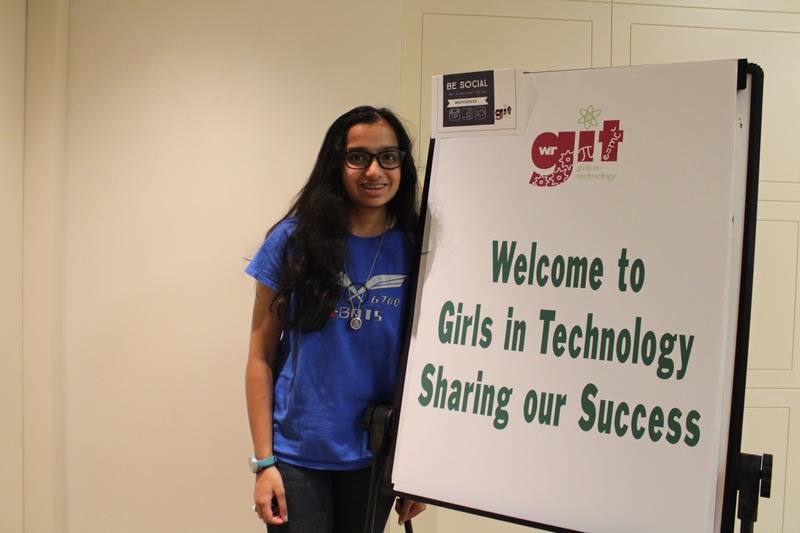 Anoushka, Pooja and Shreya had a lot of fun presenting FTC, and our Robot with interactive demos at the Girls In Technology: Sharing our Success hosted by CSC and Women in Technology. 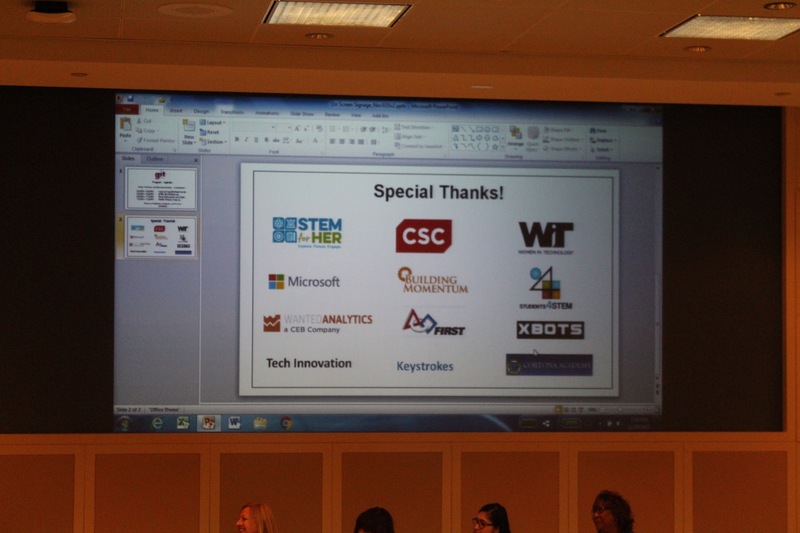 The event was fantastic, with many exhibits from Tech companies like Microsoft that promoted STEM and Tech to girls designed to inspire more girls to get involved with STEM. 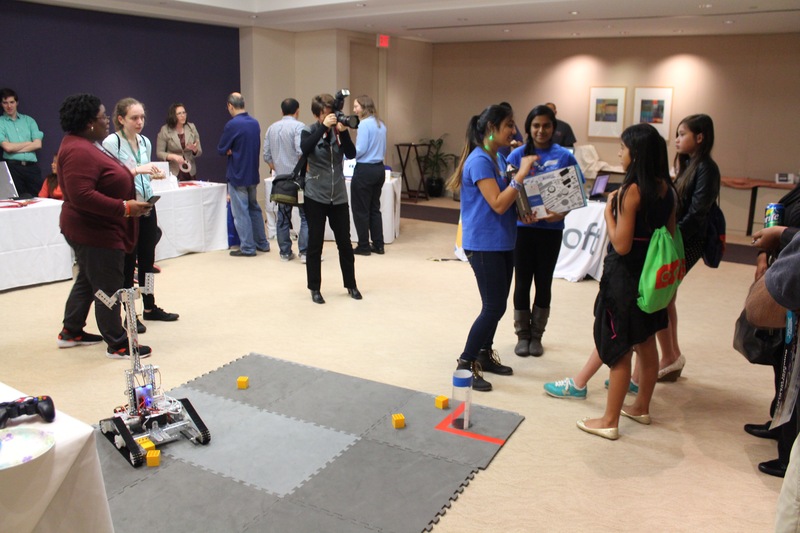 It was indeed a joy to see our girls play a role in promoting tech – many kids and adults stopped by to drive the robot, ask questions, learn about Robotics. 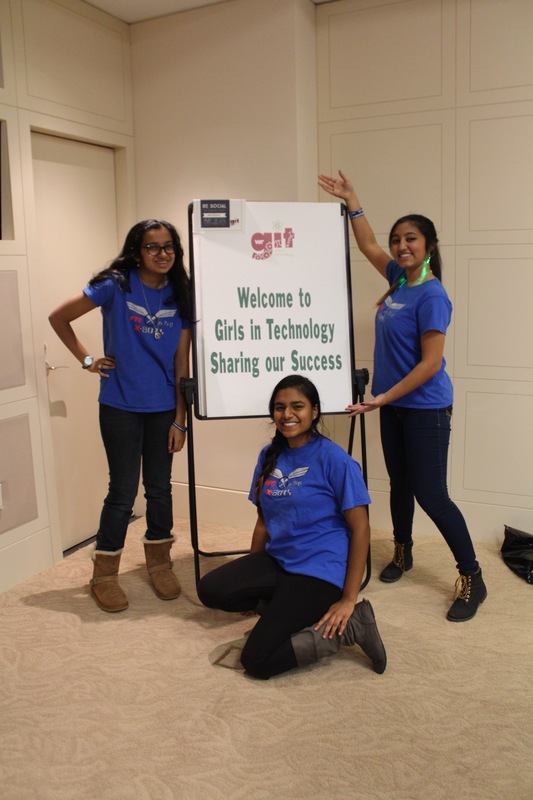 With Gracious Professionalism, our girls handled everything with aplomb! 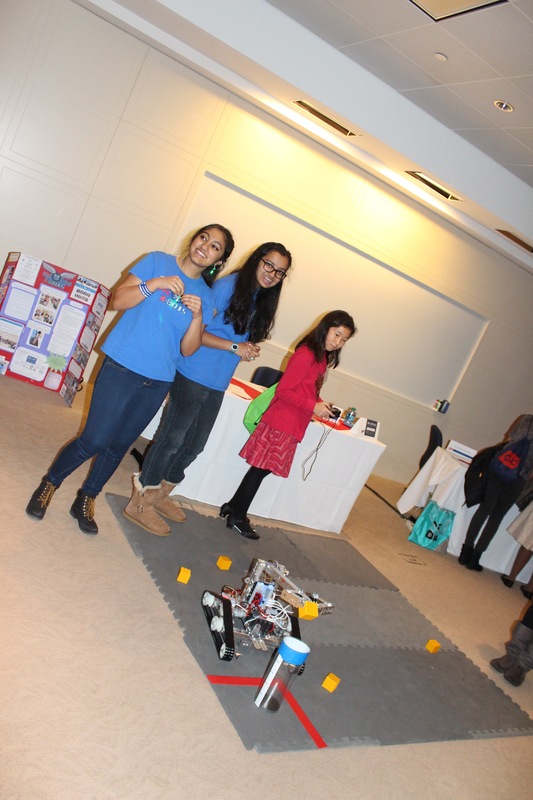 It was fun to see that visitors could quickly learn to control and play and give robot some workout:-) The girls also shared about all the FIRST Programs: from Jr.FLL, FLL, FTC and FRC, and as usual, signed up to help anyone who is willing to learn more about FIRST and it’s programs. 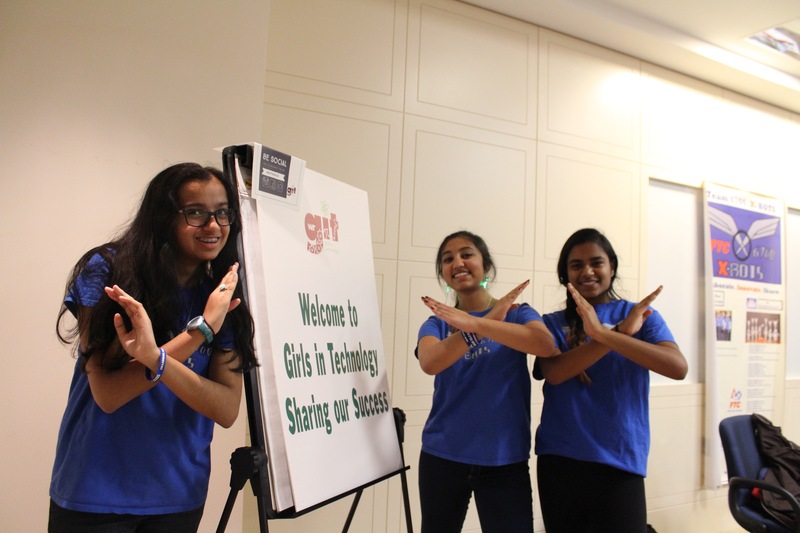 It seems the sponsors CSC were pretty impressed with the achievements of these girls. 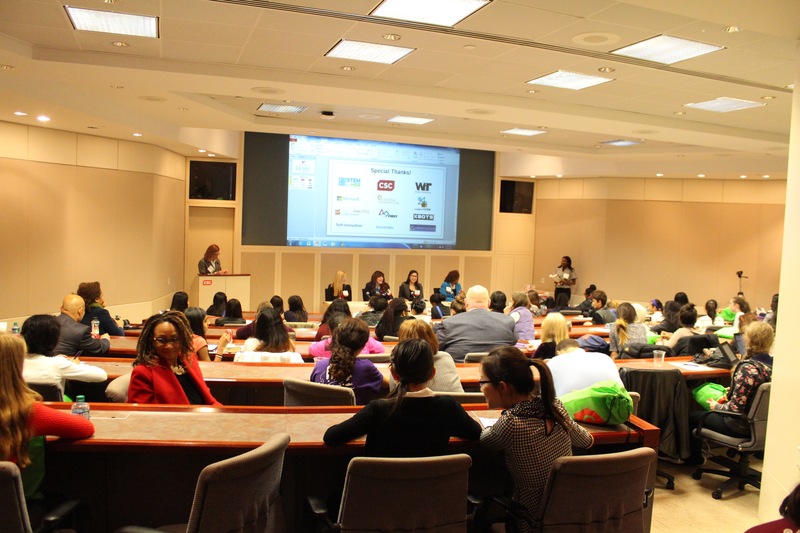 We are grateful for the opportunity to be part of the event. 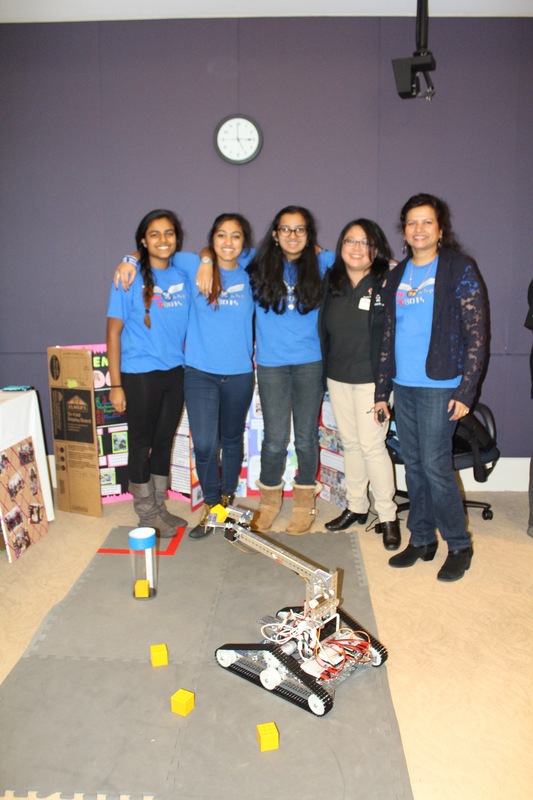 Pooja, Shreya and Anoushka with Sr.Mentor, FIRST, Mrs.Fontanilla and Asha, our coach. Letting the girl drive our robot, and play games with blocks. 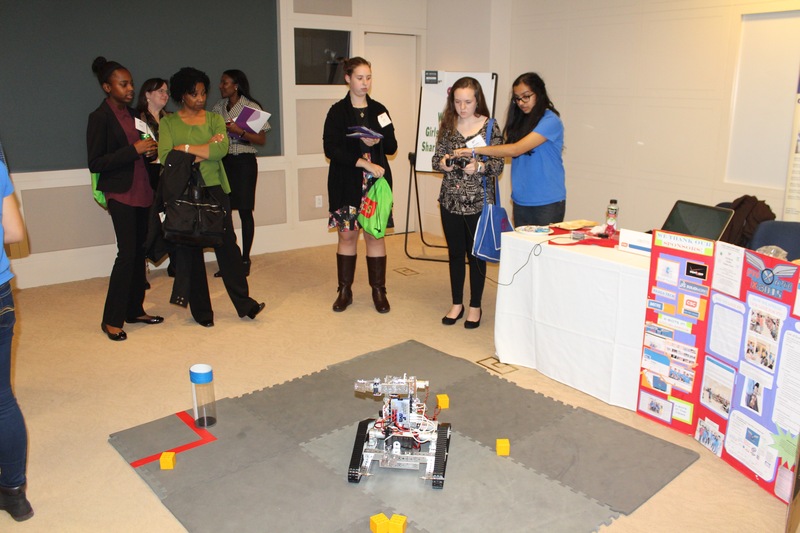 Next Post X-BOTS win big at Virginia States!